Terry Johnson Auto Body was opened in 1989 by Terry L. Johnson. The company originally was geared towards auto body repairs. Fast forward 29 years, Terry’s son, Terry R. Johnson is running the business and has expanded (a lot)! We now do collision repairs along with a having a full service mechanical repair station. We are your one stop shop for anything automotive related. 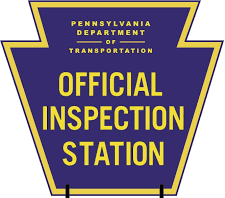 We are also a Pennsylvania inspection location. Check out our “services” tab for a complete list of everything we offer!